Start making memories of warm summer days at the beach and evenings by the glow of a campfire, memories which your children will cherish for a lifetime! 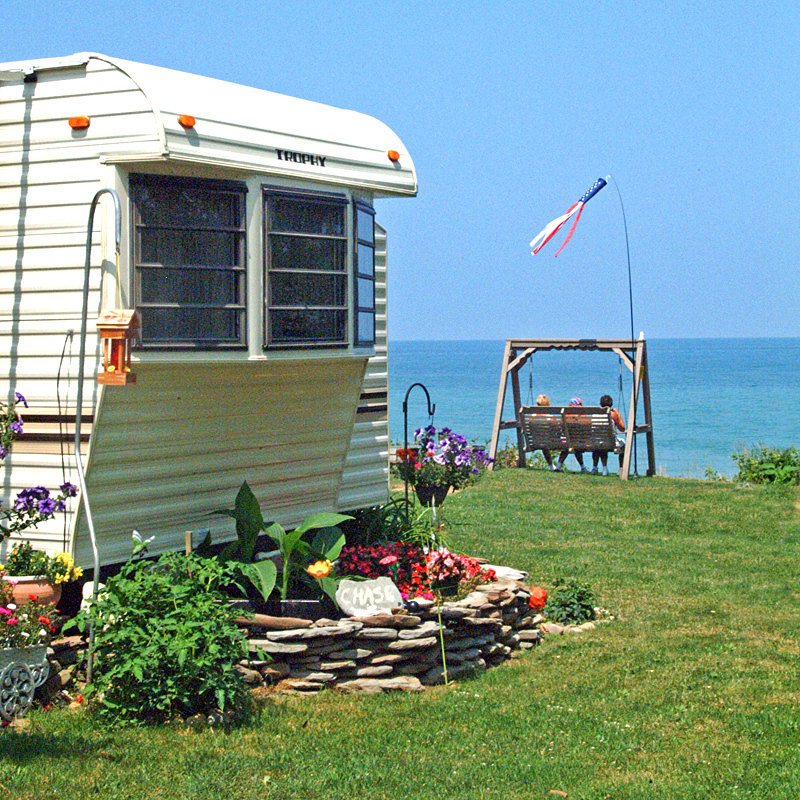 Enjoy the beauty of Lake Erie and our quiet lakefront atmosphere, spending Spring, Summer and Fall on your own lot at Virginia’s Beach for less than you might spend on a single week long vacation. 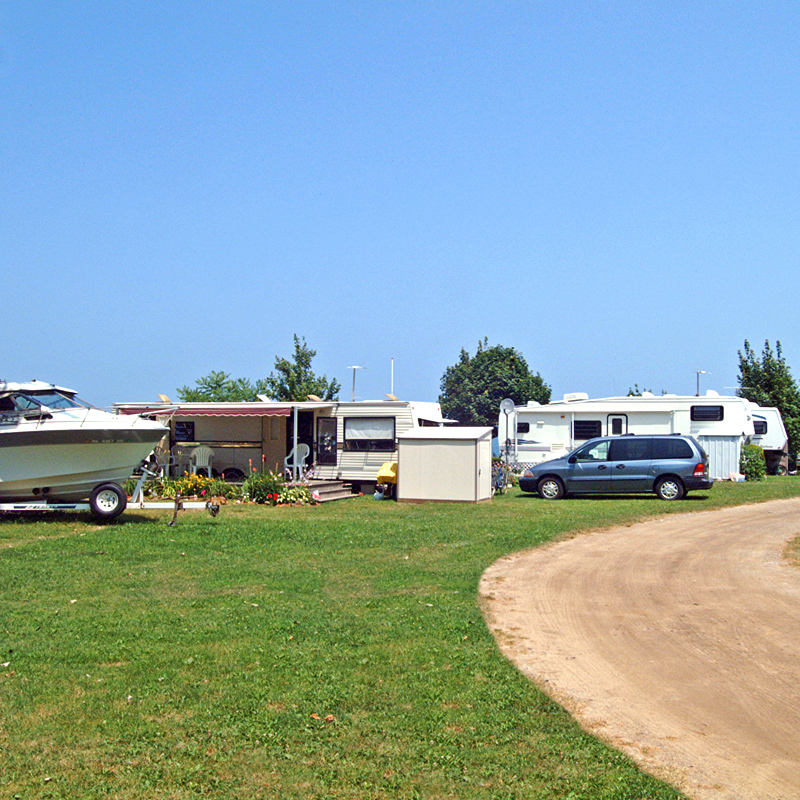 Owning an RV and leasing a lot for the season costs less than you would pay in taxes alone for a vacation home by Lake Erie. Property on the Lake is very expensive and difficult to find. Some retirees lease a lot at Virginia’s Beach for the season and lease a lot down South for the Winter. What they save in property taxes pays for the lease. You may continue to use the same lot year after year if you wish, build a deck beside your RV, and have a shed for storage or an extra refrigerator. You can even choose your neighbors by having family or friends lease lots beside you. You can also take advantage of Lake Erie’s world class fishing by launching your boat at our boat ramp. 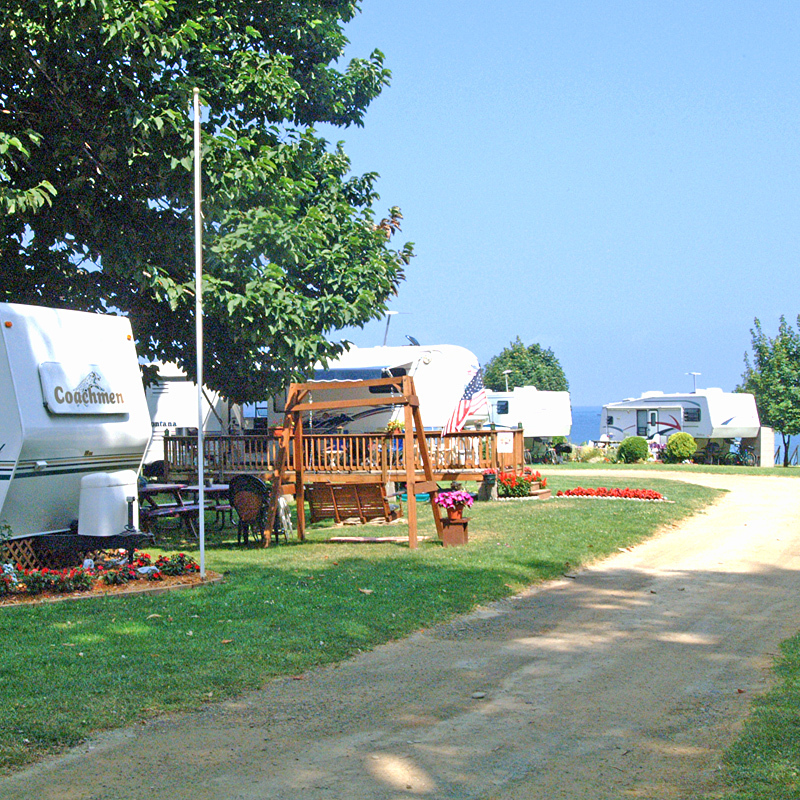 You save time and energy by not having to set up and pack up your RV. You avoid having to tow your boat by storing it on the property. You save on storage fees for your RV, because winter storage is free if you return the next year. Our pavilion is available for your use, without charge, for parties, family reunions, etc.